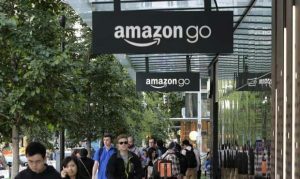 Due to a great deal of pressure from homeowners and businesses, the City Council of Seattle is ready to repeal a tax levied on large employers such as Amazon less than one month after the tax was unanimously approved. The council said that it would have a vote on Tuesday and signaled that it would reverse a tax of $275 for each employee referred to as a head tax that was estimated to raise close to $50 million annually for affordable housing and home services. The debate that followed the tax exposed the division in Seattle over who is responsible for the growing homeless population in the city. Amazon as well as other large employers in Seattle was vocally against the tax, and the behemoth of e-commerce, which usually is very quiet about politics in Seattle, said it paused some of its development while the city council considered its head tax. The vote by the council to tax the giant retailer was rare for a city to stand up to the likes of Amazon and demanding it pay some of its enormous wealth to the city. However, even following the passing of the tax, debate continued. Some residents of Seattle felt the biggest companies should be shouldering part of the responsibility for the rising prices of homes in the city, but a large number were skeptical that the city council could handle the new funding correctly. The Seattle business community, which includes developers and grocers, donated more than $285,000 to gain the needed signatures to have a repeal places on the ballot in November. Amazon donated $25,000 for that effort. In a counter effort, a group that the Service Employees International Union sponsored raised $70,000 in an effort to convince residents not to sign that petition. Both sides have been seen throughout the city, at parks, grocery stores and transit stops in an attempt to build support. Local publications have reported that the business community was able to gather sufficient signatures to assure placement on November’s ballot. The council did not want this issue to be taken to voters and Monday, the president of the council Bruce Harrell called for a special meeting to be held on Tuesday to hold a vote for repeal. The city mayor, along with seven of nine council members that included the original sponsors, issued a prepared statement that said they would vote to reverse the earlier vote.